Fall is one of the best times to be out and about in the Golden State, a season when the color of the leaves matches the state's nickname. In September, October, and November, tourist crowds disappear, just like the gloomy fog that may have plagued the coast all summer long. Fall in California is often a less-crowded, more temperate time to explore the beauty and attractions of the state. 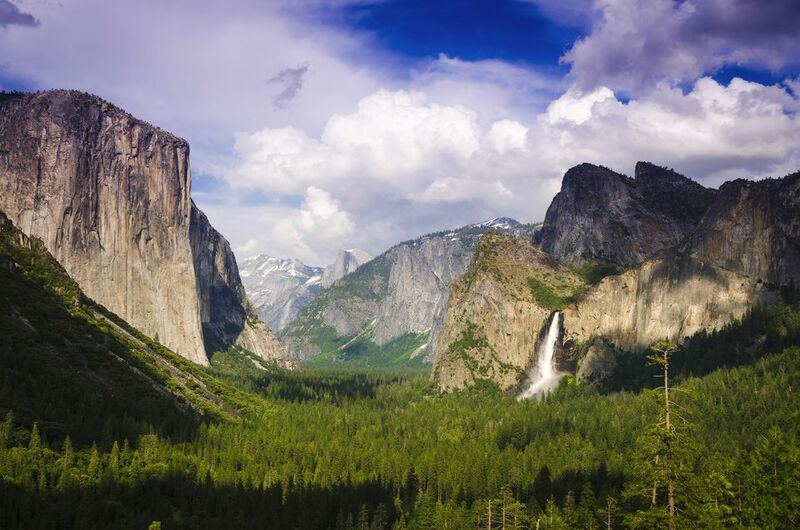 And contrary to any urban legends you may have heard, California does experience all four seasons, and there are plenty of reasons to visit in the spring, summer, and winter, too. California has some spectacular spots of fall color, but it isn't like New England. Visitors are especially surprised to find little fall color in the Yosemite Valley, for example, where most trees are either evergreens or oaks whose leaves simply turn brown. Instead, the best fall color displays are on the eastern side of the Sierras along US Highway 395. Skies will be mostly clear which is particularly welcome on the coast which may have been fog-shrouded for much of the summer. The weather can be glorious. Check the average temperatures and rainfall for California before you go. The eastern slopes of the Sierra Nevada Mountains boast the most beautiful stands of golden aspen trees. They're so pretty that once you've seen them, this area will look plain in any other season. The cool, gray city of San Francisco is at its nicest after the summer fog goes away and tourist crowds thin out. Fall can be a warmer time of year in the City by the Bay. With the same activities available as summer, but without the crowds, Lake Tahoe can be absolutely fun in fall. In fact, some people refer to it as a "secret season". Read all about fall Lake Tahoe events and what to expect here. There are so many ideas for a fall trip to California. With spectacular fall scenery or special activities, find the best places for a fall getaway. Point Reyes and the Sacramento National Wildlife Refuge are two of the best places in the state to observe bird migrations. In Kern County, migration time is a good excuse for the annual Turkey Vulture Festival, and in Lodi it's the Sandhill Crane Festival. Monarch butterflies also begin their annual return to California in fall. In northern California, the elk are mating and especially accessible to watch at Elk Meadow in the Redwood National Forest, where you can settle into the Elk Meadow Cabins and watch the elk from your backyard. One of the year's most spectacular light shows, the Leonid meteor showers, happen in mid-November. Good places for dark sky visits include Yosemite National Park, Death Valley and almost anywhere east of the Sierras. For the ultimate in relaxation and dark skies, book a room at the Inn at Benton near the California border where you can watch the show while you soak in a spring-fed hot tub. Highways are generally open in fall except for repairs and improvement projects, but it's always wise to check a highway's status before you go. Depending on snowfall, Tioga Pass through Yosemite National Park may close any time between mid-September and mid-November. Check the Tioga Pass status before you go. If it's still open, this is the most direct route to the state's best fall foliage, the fascinating area east of the Sierras, with Bodie the "mother lode" of ghost towns and the ancient bristlecone pine trees, the world's oldest living inhabitants. In Sequoia National Park, the road into Kings Canyon closes in mid-November, regardless of the weather. This spectacular drive into the heart of a glacier-carved canyon is not to be missed, and we recommend planning your trip before the road closes. Many fall festivals in California center around the harvest. In California's Gold Country, you can enjoy the annual trek to Apple Hill for apple pie, u-pick orchards, and cider tastings. On the coast, Hearst Castle night tours give a glimpse into daily life at the castle with docents in period dress. In addition to traveling through California to enjoy the natural beauty, festivals, and events can be found in all areas of the state.